Who would have ever thought it would come to this. Google is expected to kill the Nexus brand. That doesn’t mean really great Android phones are going anywhere. Google is still expected to release two new phones codenamed “Sailfish” and “Marlin,” but the phones are expect to be called Google Pixel and Pixel XL (5 inches and 5.5-inches respectively). Earlier this month, Android Police published the first of several reports citing a “reliable source” that claim Google will announce a Pixel and Pixel XL smartphone on October 4. Also earlier this month, a leaked APK of the Google Pixel Launcher made its way to the Internet. Another rumor blog, Android Central, is also reporting with a high level of confidence that the phones will be called Pixel phones rather than Nexus phones. Android Central also claims the phones will be priced at $650, significantly higher than older generation Nexus devices. The unusually high price tag gives us reason to believe these phones to compete with top-tier phones like the iPhone 7 and Galaxy S7. The unofficial `Pixel and Pixel XL technical specifications show the phones have a lot of standard high-end hardware including fast-charging batteries and 12-megapixel cameras. We expect both phones to include a 3.5mm headphone jack. Update 10/2/2016: Two big leaks that happened this weekend appear to confirm the launch of “Pixel” phones. On Sunday, Canadian phone company Bell leaked images of the new phones when it published a preorder page for both handsets. Then, it got even worse. UK retailer Carphone Warehouse reportedly published leaked images of the Google Pixel and Pixel XL handsets the same evening. You can see full details of the leaks on our Pixel and Pixel XL rumors article. Update 10/3/2016: Verizon has also accidentally posted images of the new Pixel phones ahead of the announcement. An anonymous tipster sent Gizmodo a link of the smartphone section of the Verizon Enterprises site where the phone was listed. The site featured images of the Pixel X and Pixel XL with three color options: silver, black, and blue. The one weird part of the ad is that it advertised “Google Magic” as one of the features of the phones. We’ll have to wait to the official release to figure out exactly what that means, but our guess is that it’s probably just marketing speak for Google’s business services. Smart home fans have wanted this one for a while. Google Home is the first piece of hardware from the search giant that houses its powerful artificial-intelligence-powered helper, Google Assistant. The device itself is a little smaller than the Amazon Echo and functions similarly. Google CEO Sundar Pichai even acknowledged the resemblance when he announced the device at Google I/O in May. We’re expecting Google to announce pricing and availability for its new device on October 4th. Google Home will ship with integrated speakers, a far-field microphone, and a wi-fi receiver. The device will be able to control internet-connect home appliances (such as lights and thermostats) as well as play music through a simple voice command. The reason people are super excited about Google Home is that it will make searching Google as simple as talking out loud. Right now, smart assistants like the Amazon Echo aren’t able to search Google for simple queries, which turns into a huge limitation for most people. Questions like, “OK Google, what time is the 2016 presidential debate?” will be more likely to yield a helpful response on Google Home than on a system like the Amazon Echo. That’s because it will be powered by Google’s ridiculously powerful search engine. In addition to being able to answer questions about TV shows, sports, science, or basically anything else you can Google, the smart assistant will also be a central hub for smart appliances. Simple commands like, “OK Google, turn on my kitchen lights” will work with select devices (and the list of compatible devices will grow over time). For anyone that’s super lazy and has ever dreamed of barking out orders to a computerized personal assistant, Google Home is going to be a dream come true. Details are pretty slim for the time being, but 9to5Google reports there are several pieces of code hidden within the Android 7.0 Nougat code that indicate exactly what Andromeda might entail. The report describes Andromeda as a variant of Android optimized for laptops and 2-in-1 devices. It includes a free-form window mode that lets you resize different apps at the same time (something that isn’t allowed on current Android phones or tablets). The site also reports that Android Nougat has a hidden graphics performance test that shows Andromeda requiring double the graphics power compared to a regular Android device. This is all in line with a Wall Street Journal report from last year that said Google would attempt to fold Chrome OS into Android by 2017. There is also this cyrptic tweet from Google SVP of Android, Chrome OS & Play, Hiroshi Lockheimer. Google announced a virtual reality (VR) platform called Daydream at Google I/O in May. Daydream is essentially a set of guidelines for creating VR content for Android devices. Similar to the VR-ready specifications made for desktop machines like the Oculus Rift and HTC Vive, Google will have Daydream-ready specifications that include things like required sensors, display resolutions, and computer chips necessary for the absolute best VR experience. The problem is we still haven’t seen any actual hardware yet. Google showed the public a nice reference design at Google I/O, but there’s still no physical hardware. There was a video demo at the announcement, but to be frank, it didn’t look that much different than what is already available on the Samsung Gear VR. We’re expecting to see the first Daydream headsets on October 4. Update 10/3/2016: This rumor is now starting to look extremely likely. Variety reports that Google will announce its first Daydream virtual reality headset according to “multiple sources.” The news site is also reporting the headset will cost $79 and work with both of the new Pixel phones. Beyond phones, virtual reality, and artificial intelligence, Google is expected to make a handful of other hardware announcements that could be really exciting, depending on what your home entertainment setup is like. Chromecast: First and foremost, if you don’t have a streaming device yet, you’ll probably be really interested in the new Google Chromecast rumored to launch on October 4. The new streaming dongle will reportedly be called the Chromecast Ultra, and it will be capable of displaying ultra high-resolution 4K content. Rumors suggest the Ultra will cost $70 compared to the original Chromecast, which will continue to sell at its $35 price. The firmware has already reportedly leaked to the Chromecast Preview program, and in the leaked firmware, all mentions of the word Chrome have been removed from the booting screen. A new router: Google is also expected to release a new wi-fi router called Google Wifi. The device is expected to cost $130 and will include many of the same “smart” features that were included on the Google OnHub last year, such as prioritizing specific websites and having a strong range. What is expected to set Google WiFi apart from your junky Netgear router, though, is the ability to link multiple units together to create one large mesh network. It’s similar to technology found in the Eero. 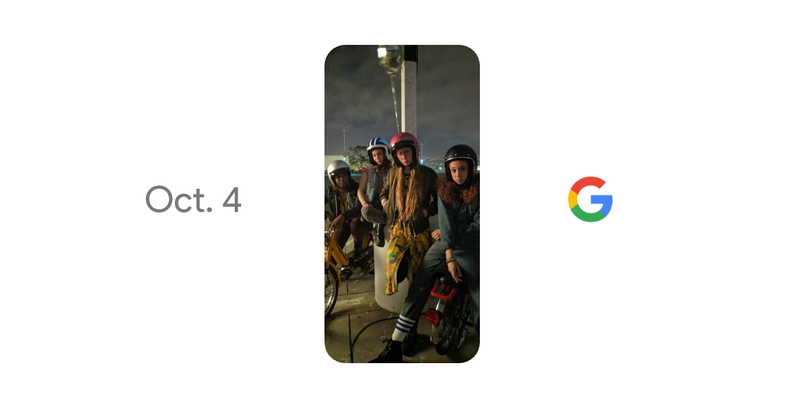 We will continue to update this page as Google’s October 4 press event nears, and please join us for live coverage during the event. If you know something else, let us know in the comments.